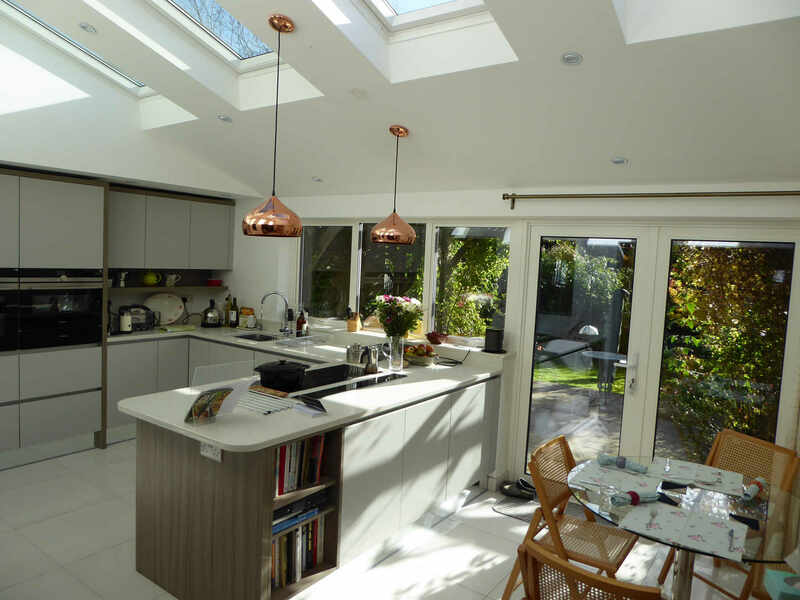 This recently completed kitchen renovation to work with their redeveloped extension. As you can see from the pictures, Mr and Mrs Graves increased the ceiling height, added an extra roof window and increased the amount of light coming in from the garden windows. 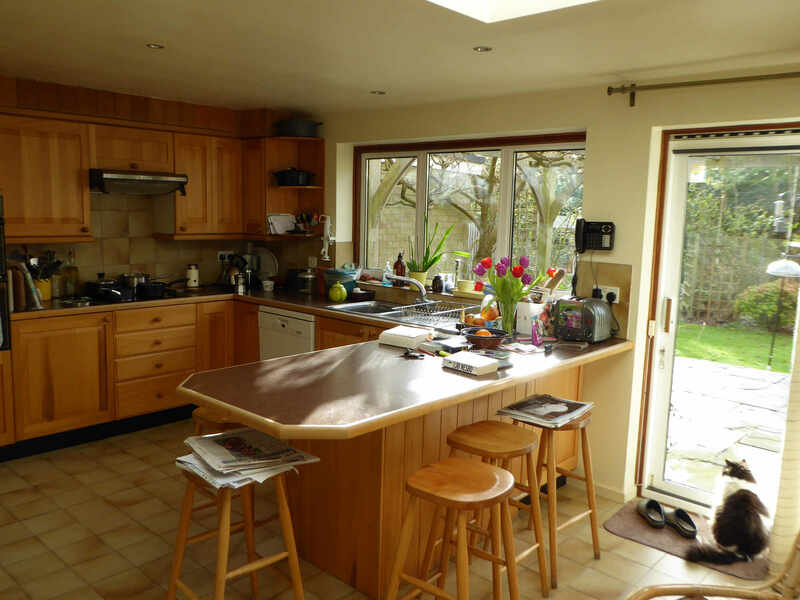 The kitchen was designed to be a perfect blend of modern and practicality, using the latest appliances and materials. The handleless grey units with white worktop allow light to be reflected around the room, giving a light and airy feel to the kitchen. The kitchen features two top-of-the-line Siemens ovens and an induction hob, complete with integrated rise and fall extractor. And here is what it looked like before, what a transformation!